Need a new vaporizer cheap and fast? Head over to Vapercity.com, where they scrape the internet for the lowest prices and fastest delivery times on vapes and herbal vapes. Not only does VaperCity let you quickly compare prices from the most popular stores online, but they also offer a wealth of detailed information, making researching and rebuying a sweet vaporizer fun, and well worth bookmarking their site. Let’s take a look at some of the benefits of using this site to find the lowest prices on vaporizers, but first a little background info. made a name for itself by helping vapers research the lowest prices on vape gear and e-juice. But they didn’t stop there. By adding tons more products, including herbal vapes, to their database and also including details about each product such as device specs, images, and video reviews, Vapercity is more than just the average price comparison website. Adding to this functionality, Vapercity has a few hidden nuggets of useful information for the vaper who wants to learn all about their next vape before whipping out their wallet. 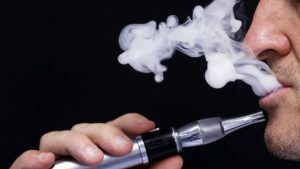 By combining all this helpful information in an easy to use website, Vapercity.com has become a favorite vape research tool for budget-conscious vapers and herbal enthusiasts alike. 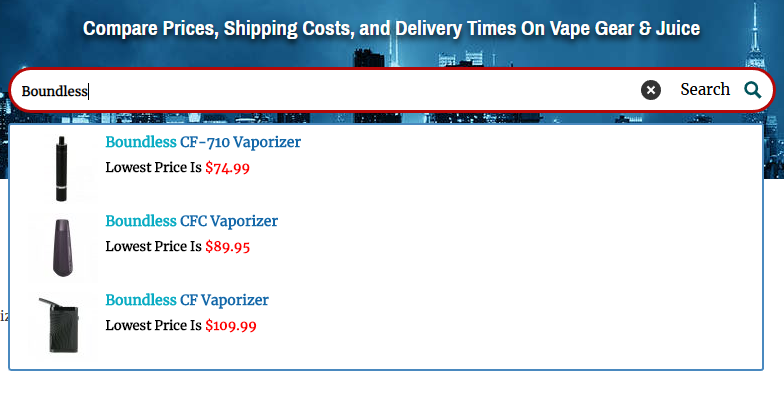 Price comparison sites are nothing new in the vape industry. Several websites compare prices on nicotine vapes, e-juice, and herbal vapes, that already have a loyal following. Each of these sites has their unique way of finding and displaying prices from across the web. The big difference between Vapercity and these other sites is quite simple. Vapercity delivers more information on the products they list on their website. With over 1000 products, 140 name brands, and 75 stores to pull prices from, vapercity checks more than 5,200 prices every 48 hours! Vapercity is not just a search engine where you type in a product name and see a generic list of prices; it is a full-fledged vape research engine that shows you everything you need to know about almost any vaping device, including herbal vaporizers. Along with price listings, you can view recommendations, deals, coupons, written reviews, video reviews, brand directories, and tons of helpful and informative articles. The ability to quickly find a vaporizer and see the lowest prices instantly is at the forefront of VaperCity’s site design. They offer several ways to search for the gear or juices you want. The easiest way to explore the site is to enter the product name in the search box positioned at the top of every page. Doing this will instantly drop down a result box with the product name and lowest price. Another way to find the right product is to use the “Check Prices” link in the menu. Here you will see all the vape products listed on the site, broken down into categories and subcategories. Choosing any of these categories will take you to the product category page where you can use the helpful sorting feature to narrow down your search even further. Each category has filters so you can quickly choose the options that are most important to you, and filter the results based on these options. Estimated Shipping Costs- Based on the default shipping method chosen by each store. Estimated Delivery Times- Based on the shipping information data provided by each store. Low Price Alerts via Email- Enter your email address, enter your desired price, and get notified when the price falls below that amount. Price History- A helpful graph that shows the market trends and price history for each product. Popular Youtube Reviews- See what your favorite Youtube reviewer thinks about each product. Full Specs- More info about the size, weight, features, and critical points. User Submitted Reviews- Read what real users think and submit your own opinion for each product. You can’t have a price comparison site without a coupon code section. In style with the rest of the site, Vapercity has designed the coupon section to be intuitive and easy to use. You have the option to choose how to search for discounts and deals. On the coupon page, you will find a search box just for searching for coupon codes. Or you can choose to see all the deals sorted by store. Either way, there is a considerable amount of savings on the page with some BOGO offers and limited time discounts. Make sure to check it out before you purchase a vaporizer. For vapers who want a bit more information, vapercity has a library of vape and vaporizer reviews. Read expert opinions and thoughts on many of the most popular devices. The professional reviews are in-depth and broken down into easy to read descriptions, and real-life accounts of actual use. Buying guides and informative articles are available in the blog section of the site. From extraordinary stories to legal issues and health matters, there are hundreds of resources available for anyone who is looking for more information on vaping topics. There are buying guides as well that can help the less experienced vaper learn all about vaping and show them how to find the right device for their needs. See what the vapercity staff currently recommends in the “Best Vapes” section of the menu. These top-rated vapes have the best performance and are most likely to satisfy any vaper. There are several criteria that Vapercity uses to put these lists together, build quality, ease of use, functionality, and overall value of each device are all taken into account. These lists make it easy to choose a device if you are unsure of what you need in a vaporizer. These vapes are grouped by device style and also show multiple online offers to make sure you find the best vape at the best price. This unique website is the perfect tool for any vape user that wants an easy and simple way to research and price check vaporizer prices. Vapercity.com is an excellent comparison site because it is committed to providing the most amount of information to help herbal vape users find the cheapest vaporizers online. With a massive amount of product listings, that include every critical piece of information you need to know before you buy, Vapercity.com is the ultimate vape research engine. The post How To Find Cheap Herbal Vaporizers Using Vapercity.com appeared first on Smoking With Style.